Soft chocolate sponge topped with our luxurious chocolate ganache and a chunk of your favourite chocolate bar. Soft chocolate sponge topped with our luxurious chocolate ganache and a chunk of your favourite chocolate bar. 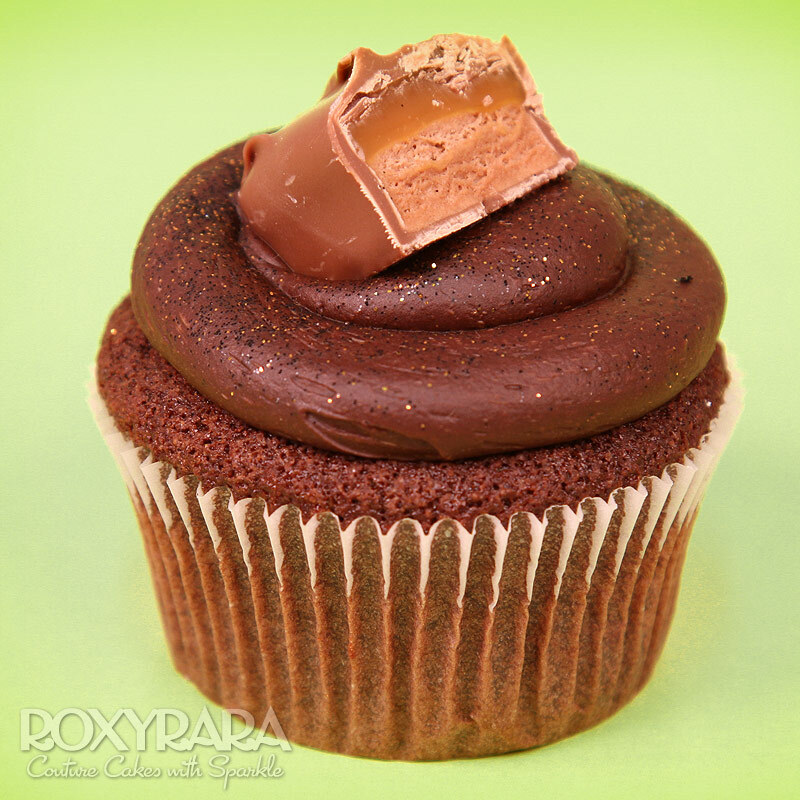 Snickers, kit Kat, Mars, Crunchie, Lion Bar, Boost... You name them in the comment section and we'll top your cupcakes with them!